A student approached me recently with an interesting, and all-too-frequent, dilemma: after studying for months for the LSAT in preparation for the December exam, he felt that he still had significant room for improvement, and was debating what delaying his test date until February would mean for his admissions hopes. Seeing that a number of test takers are very likely considering the February LSAT at this point, I thought I’d pass along the advice I gave him. First off, I feel that as a general rule it’s almost always advisable to not take the LSAT until you’re consistently scoring in a range with which you are satisfied. Law school admission is incredibly competitive, so you need to give yourself the best possible chance of attending the best possible school. 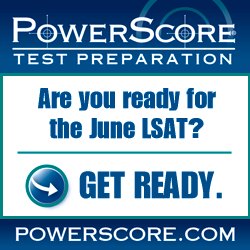 Which, of course, means that you need to aim for the highest possible score on the LSAT. And if that means waiting until February (or later) to take the test, then for most people that’s the right decision. Of course, as with most generalizations, there are exceptions. In this case those exceptions are almost all school-specific: how do the schools to which you’re considering applying treat the February test? Every school is a little different—some schools won’t accept February scores for admission that calendar year, some schools accept it but penalize you in their rolling admissions process, and some accept it without penalty—so your best bet is to do some research, and potentially contact schools directly and ask. I say that leads to potential exceptions to the wait-‘til-you’re-ready rule, since it might be preferable to apply in December with a slightly lower score than you would prefer, as opposed to waiting an entire extra year if your school doesn’t accept February scores. But, again, that hinges on the school in question and their specific policies. To give yourself a better sense of how various schools treat February scores, read through this blog post. That should give you a much better idea of what you are up against in terms of admissions, although, as always, contacting schools directly is the safest way to find the answers you need.